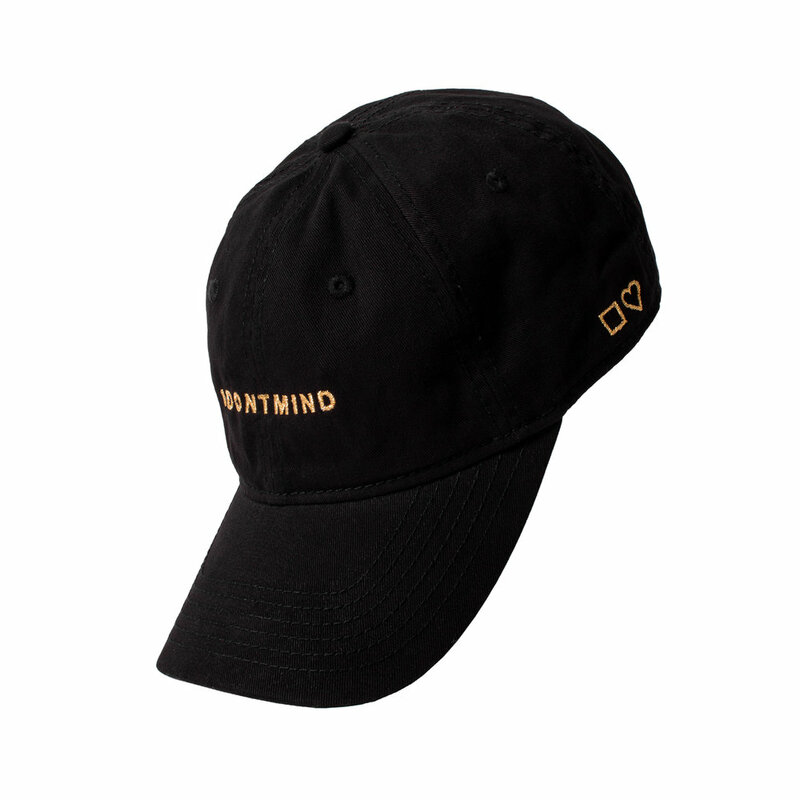 Weekend Hat - Gold - IDONTMIND - Your mind matters. Talk about it. Weeks can be tough. Weekends can be amazing. Especially when you’re feeling golden. Unstructured black adjustable hat. 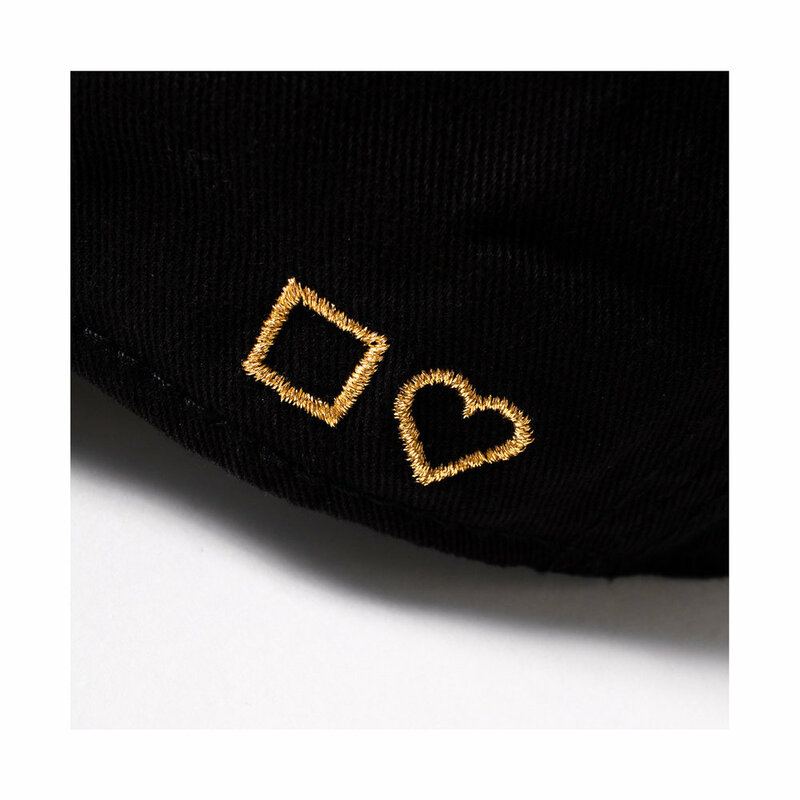 Gold embroidered logo with square/heart graphic on the side. 100% washed cotton.